Tall and erect, the palm tree makes a striking contrast against a bright blue sky. The towering palm tree's spiky, bright green leaves crown the ringed trunk in a burst of texture and color along the skyline. The leaves, typically called fronds, have long been a beneficial byproduct of this versatile tree. The uses for palm fronds are abundant. From fiber for clothing to building material, the fronds are a useful and popular palm tree product. 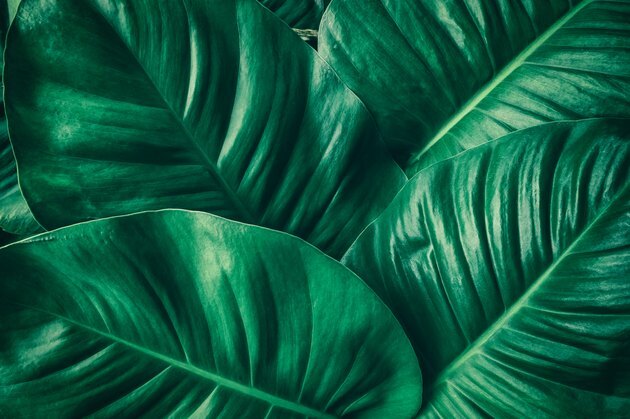 What Is a Palm Frond? The leaves of a palm are uniquely shaped. They are sturdy, large, spiky and green. There are two types of leaves, or fronds, on a palm tree. The palmate leaves grow in a bunch at the end of a palm tree stem. This resembles the fingers on a hand. The pinnate leaves on a palm are more feathery and are lighter. They grow along a stem from the trunk to the tip. Its towering magnificence is just one benefit of planting a palm tree. The leaves serve many useful purposes. The fronds of the palm are particularly useful depending on the type of palm from which they come. 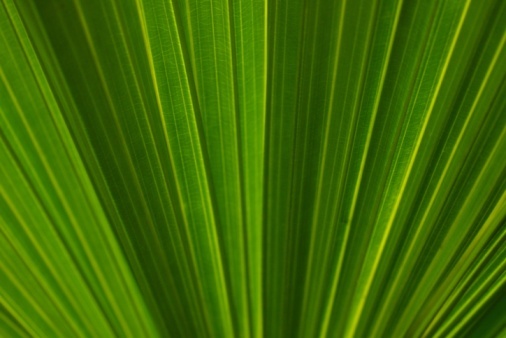 The palm frond stands for a few noble things, including peace, victory and eternal life. The Mesopotamian religions thought the palm frond was a sacred object. It represented immortality to the people of ancient Egypt. A closed palm frond from the date palm is included in the Judaic festival of Sukkot. Some palms grow squat and fat like a bushy shrub, while others reach to the sky with spindly trunks and sparse leaves. They grow best in specific areas that tend to be high in humidity or warm and dry. Palms prefer United States Department of Agriculture zones 8 through 10. The two most well-known palm trees are usually the date and the coconut. These are prolific growers that appear in warm climates around the globe. Palm trees can be short or tall, but the largest species surpasses them all. The Quindio wax palm in Colombia has been known to reach a height of nearly 200 feet. The Hyophorbe amaricaulis is the rarest palm tree in the world. It originated on the island of Mauritius. After deforestation and being overly cultivated, there is only one known specimen left to experience. The slim sole survivor of the Hyophorbe grows in a cage in the botanic gardens of Curepipe in Mauritius. The date palm is a flowering type of palm that is in the Arecaceae family. It grows sweet, elongated, edible fruit in clusters under the base of its lower fronds. The chewy, pitted fruit has a honey-like taste and is used in smoothies, cookies, cakes and savory dishes. Its dates are also eaten by birds and reptiles in the desert climates. Not all the fruit on palms is meant for human consumption, so don't pick up random berries that fall from palms in front yards and commercial landscaping. The coconut palm is the only surviving species of genus Cocos in the Arecaceae family. The strong trunk of the coconut tree can grow at a slant and rise to 80 feet. The coconuts are nestled under the featherlike palm fronds that droop from the massive crown of the tree. Palm tree products include oil, coconut flesh and water, acai fruit, betel nuts and dates. In Asia and Africa, a palm wine called kallu is made from the byproducts of its fruit-producing palms. What Is an Ita Palm?